Polls are open 6:00AM – 9:00PM. 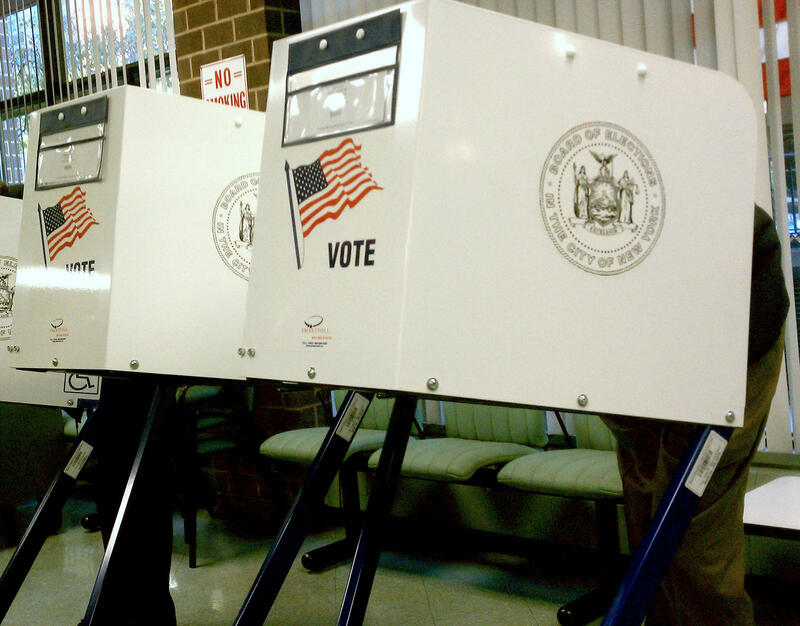 Every 20 years, New Yorkers have the chance to vote whether to hold a constitutional convention. Supporters say it’s an opportunity to reform unethical practices in Albany that have led to both former legislative leaders facing corruption charges. Nine former associates of Governor Cuomo have also been charged with crimes including bribery and bid-rigging. Opponents – including the state’s major unions, environmentalists, gun rights groups and the Conservative Party – say the New York’s constitution includes many rights. They are concerned the convention could be hijacked by groups that don’t agree with their views. Blair Horner is with the New York Public Interest Research Group, which is remaining neutral on whether to hold the convention. He says the arguments really boil down to two basic elements. “It’s really hope versus fear,” Horner said. The other two ballot propositions each amend just one section of the state’s constitution. This would give a judge discretion to revoke the pensions of public officials convicted of felonies for crimes committed after January 1, 2018. The federal constitution prohibits the state from imposing additional penalties for past crimes, so the change would not affect several state politicians convicted of crimes in recent years. Politicians elected after 2011 are already subject to pension forfeiture if they are convicted of serious crimes. This would create a 250-acre land bank for the Adirondack and Catskill forever wild preserves. It allows local government in the parks to withdraw land from the land bank to made road and bridge repairs and lay cable alongside roadways on lands that otherwise are subject to strict land use rules. Environmental groups as well as elected officials in the region all support the measure. The Board of Elections wants to dispel a couple of myths circulating on social media. One is, if a voter does not vote for or against a proposition, and leaves it blank, then it counts as a “yes.” That’s not true, according to the Board of Elections. Only a “yes” vote is a “yes” vote. If it’s left blank, then it’s a blank vote and won’t be counted towards anything. Another bit of fake news on social media is that the ballot scanners will reject the ballot if a voter leaves the proposition page blank. That is also not true. The Board of Elections says the scanners only reject a ballot if someone votes twice for an office or ballot question that requires just one answer. Then, the voter has a chance to fix the mistake.